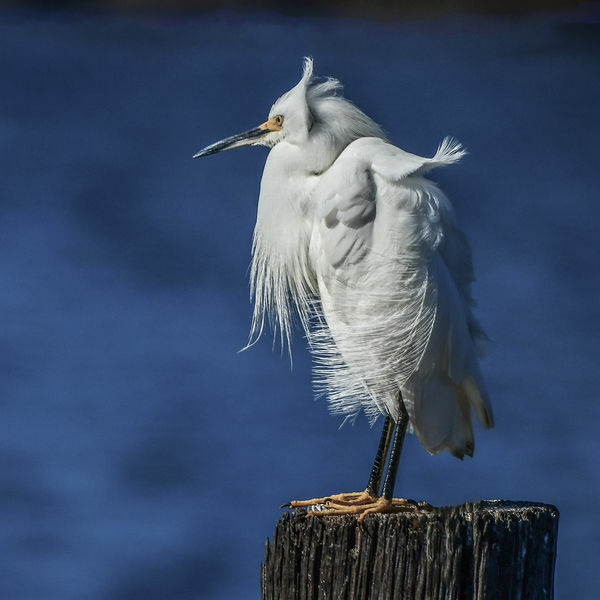 This is how a handsome Snowy Egret dresses to empress the ladies. You are funny, keep it up. I bet you heard that a lot in your life! Snowy Egrets always impress me! Great photo. This is even better than the first one. WOW! I want to know if they signed a release form? Lawsuits are not pretty. This bird has character and probably an attitude as well......nice job sir. Great image Grandpaw. Somebody get him a comb.